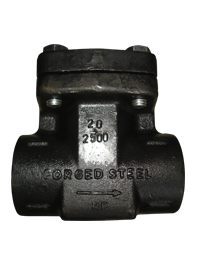 Peco Forged Steel Valves are manufactured to API Std. 602 / BS 5352 and tested to API 598 / ASME B 16.34. 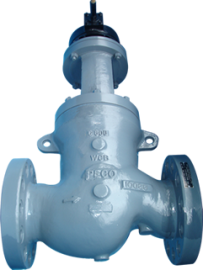 These valves are metric valves of compact design, with a wider choice of shell and trim materials. Outside screw and yoke type bolted bonnet construction. Body and bonnet made from high quality forgings. Ease in access to stuffing box. Accurately machined gate and seat rings with mirror finished seating surfaces to assure leak tightness. Wedge accurately guided throughout its travel in machined guide ways in the body. Rolled in body seat rings of renewable type. Back seating surfaces provided integral to bonnet. Pressure seal bonnet or welded bonnet for high pressure. Taper Plug type disc and shoulder seated screwed seat ring with perfect matching of mating parts to assure leak tightness. Easy access to stuffing box. Self aligning gland and follower. Streamlined flow passages to minimize pressure losses and erosion. 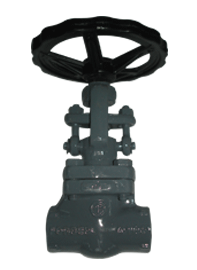 Uniquely designed piston lift check valve incorporating self cushioning effect. Taper Plug type disc and shoulder seated screwed renewable seat ring for positive seating and leak tightness. Guided piston assuring accurate return to seat ring to achieve leak tightness. Streamlined flow passages designed to minimize pressure losses and erosion. Welded cover for high pressure. 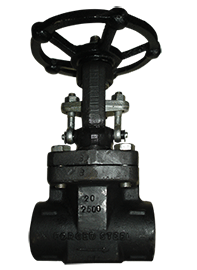 Outside Screw and yoke construction for Gate-Globe Valves.